Organic fertiliser is derived from the proportionate mixture of grinded wood scraps, husk and water fertiliser, which are made pellets by the machine. 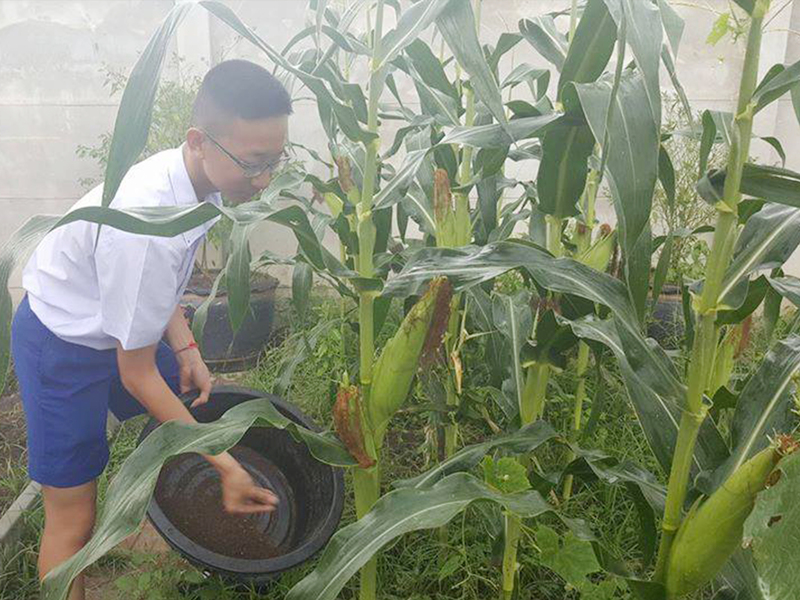 This type of fertiliser contains microorganism that makes the soil fertile and helps plant grow. 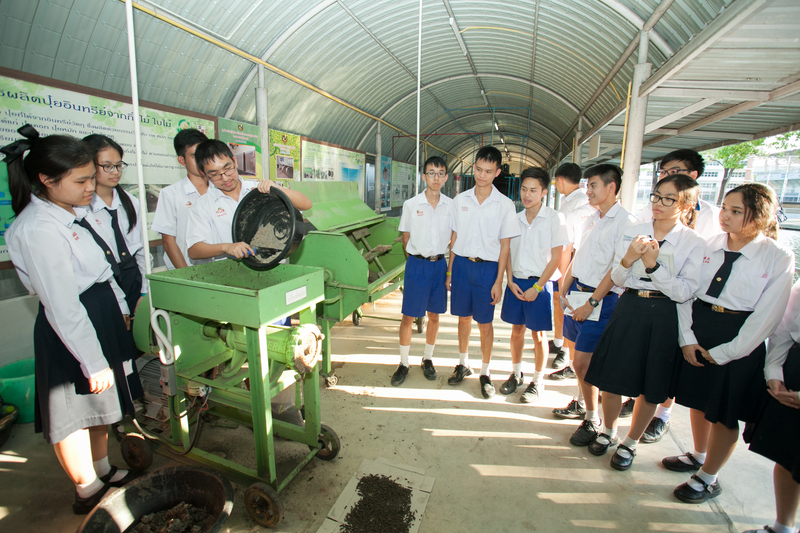 It is currently used with plants in the school premise.